Application details are now available via the Sherborne Summer School website. Please email with any queries. 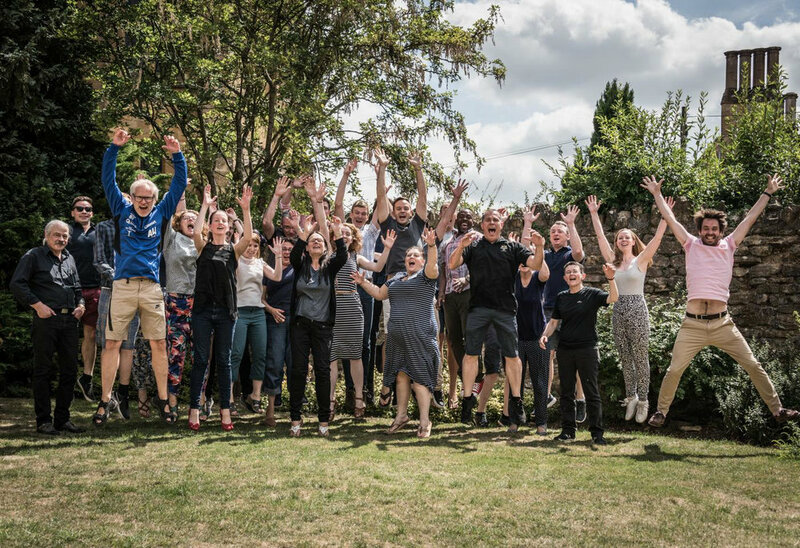 Sherborne Summer School Wind Conducting Course (formerly Canford) has become established over the last 27 years as one of the leading international courses for wind music. Course fees for 2019 are £570 for seven nights accommodation, excellent food, all tuition fees, and admission to all concert. This represents remarkable value for such in intensive course with guaranteed daily podium time. At current exchange rates that's a mere €630 or US$720 - quite possibly even less by the time the course takes place! This internationally recognised course is for conductors at all levels with an interest in wind repertoire, or a desire to immerse themselves in issues relating to conducting wind and brass instruments. Around twenty-five students will be accepted as active participants. Observers are also encouraged and will be fully involved in the course, but they will only conduct at the discretion of the tutors. An integral feature of the course is that all active participants receive podium time with an ensemble each day and a performance opportunity at the end of the week. Participants will explore the physical language of conducting, score preparation, rehearsal technique and repertoire knowledge. All conducting sessions are filmed and students receive videos of their work at the end of the week as well as regular review sessions during it. The course runs concurrently with the Wind Ensemble Course and there will be close liaison between the two including the opportunity for selected participants to work with that ensemble. All participants should bring with them any instruments they play in order to accommodate ensemble work within the class. (If for any reason you are unable to bring your instrument(s), please let the summer school office know when you enrol). Students should, as a minimum, prepare thoroughly the works marked with an asterisk before commencement of the course. You may then wish to select further pieces from the remaining repertoire - it is usually more beneficial to know some of the music well, than all of it not so well. More experienced students may also wish to prepare works from the Wind Ensemble repertoire list. There are four sessions a day. Free concerts every evening and most lunchtimes. Podium time every day. Midweek formal dinner and dance. Sherborne School is set in one of the loveliest old Dorset towns and has a swimming pool and sports facilities, bar and local pubs. BASBWE will offer a partial scholarship to one conducting student participating in the course. For further details email. Joining me again this year are Bjørn Sagstad and Alberto Roque. We are delighted that Nelson Jesus will be featured composer, and will be present during the course to attend rehearsals and performances, and discuss his music. Running alongside the conducting course, and sharing the same faculty, the wind ensemble course is designed for experienced amateurs and students to rehearse and perform significant repertoire written for the medium. Some of the repertoire will be studied in depth and form the basis for one or more of the several concerts the Wind Ensemble gives during the week. The remainder will be played in repertoire sessions. This year there are extended opportunities for large scale chamber music and there is close liaison with the Wind Conducting Course. BASBWE will offer a partial scholarship to one player participating in the course. A bumper crop of 27 conductors from UK, Norway, Switzerland, Australia, USA, Canada, Italy and Jamaica enjoyed what was by common consent perhaps the finest edition of the course. Composer in residence Torstein Aagaard Nilsen’s contribution was a key factor in this - the quality and variety of his music was hugely inspiring, as was his commitment to the process of rehearsing it, and working with the conductors. Lewis Musson, principal euphonium of the Central Band of the Royal Air Force was a fantastic soloist, and we were very grateful to the RAF Music Services for their support in making his appearance possible. A class of 25 conductors from all over the world worked with Mark Heron, Bjorn Sagstad and Alberto Roque. and composer in residence, Gary Carpenter. 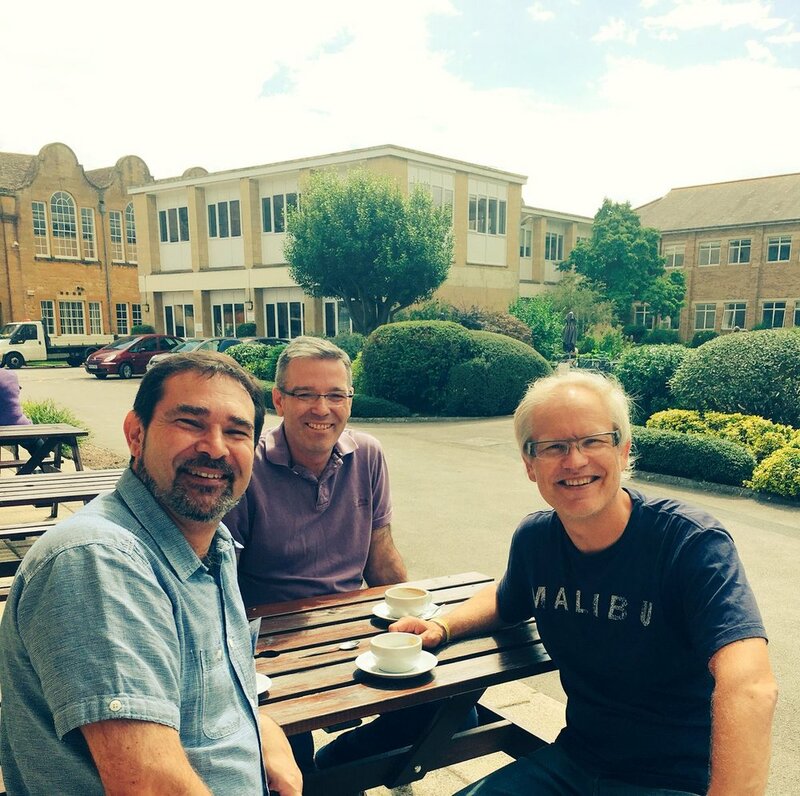 A class of 26 conductors from all over the world worked with Mark Heron, Bjorn Sagstad and a first time visitor to Sherborne, the Portuguese conductor Alberto Roque. Martin Ellerby was an excellent composer in residence and he was delighted by some outstanding performances of his music. As always, the strong social element of the course was evident after hours. The largest class we have ever had with 28 conductors. New to the faculty this year was Cynthia Johnston-Turner, Director of Bands at the University of Georgia, who entered into Sherborne's unique social vibe with alacrity! A vintage year with 27 conductors from all over the world - 50% from the UK, 50% international. The cameraderie was as good as it's ever been, and the class contained graduate conducting students, professional military musicians, music education professionals, undergraduate music students from universities and conservatoires, and conductors of amateur bands & orchestras. Adam Gorb joined us for the final 2 days of the course to participate in rehearsals of his new work, Bohemian Revelry, and to lead one of our 6pm seminars. As you can see, these sessions are not dull, dry affairs! The conducting students participated in 2 performances at the end of the week, members of the Wind Ensemble course also gave a concert conducted by the faculty members, and some of them also performed the Stravinsky Concerto for Piano & Winds with soloist Benjamin Powell. 2014 was my 8th year teaching the course, and I was again joined by Russell Cowieson and the renowned Norwegian conductor Bjørn Sagstad as a guest teacher following his great work with us last year. In Bjørn's opinion the course is the leading one of its kind in the world. It was during the BASBWE Executive meeting at the Glasgow Conference of 1990, that it was decided to co-operate with the Canford Summer School of Music (now Sherborne) in an annual conducting course in wind band and wind ensemble, The first BASBWE/CANFORD course in 1991 was given by Tim Reynish and Clark Rundell. One of the unique aspects of Canford is the variety of courses on offer. For three weeks musicians of all ages; professional, amateur and student, participate in conducting, singing, choral singing, chamber orchestra, symphony orchestra, wind orchestra, string orchestra chamber music of all types, music technology, jazz and much more. Alongside this heady mix, the Wind Orchestra and the Wind Orchestra Conducting Course have both forged their own identity. Over the years, the wind conducting course has evolved to become extremely international attracting high quality students from all over the world, many of whom are studying conducting at Masters or Doctoral level. Despite this, accessibility remains an important part of the philosophy and the class always contains a number of students whose main work is with community bands or who are coming to conducting for the first time through their work in music education. Another long-standing tradition is the involvement of the Royal Marines Band Service who send their current crop of Bandmasters Course students to Canford every year. This blend of professionals, educators, students and amateurs gives the course its own unique atmosphere and the opportunity for students to learn about the challenges faced by their colleagues in other fields. A typical class of the last twenty years is that of 2007, comprised of 20 students from England, Scotland, Ireland, Belgium, Germany, Israel, Hong Kong and the United States. Around a quarter were studying for Doctorates in wind conducting, 3 were on Masters conducting courses in orchestral conducting, 5 were professional military musicians, 3 were experienced music graduates working in education and the other 9 were involved with community bands, orchestras or choirs. In 2008 we welcomed 23 students from an even wider range of backgrounds. Over the years, until summer 2012, Tim Reynish has been an ever-present figure on the faculty and the success of the course is due in a large part to his dedication and hard work not to mention legendary comments to his students. Other faculty have included Phillip Scott, Baldur Bronnimann, Clark Rundell, Felix Hauswirth, James Croft, Rafi Primo, Guy Woolfenden, Robert Ponto, Brad Cohen and Mick Dowrick. Since 2007 Mark Heron has been the other main teacher, and from 2009 has been joined by fellow Scot and Canford alumnus, Russell Cowieson. The class forms its own ensemble, sometimes with additional players brought in for balance reasons, and so the majority of the sessions are practical. It is therefore expected that all participants bring an instrument in order to support their colleagues. In addition there are regular sessions on technique, score study, rehearsal technique and repertoire. Unlike many conducting courses where podium time is extremely limited, at Sherborne most students will conduct at least once on each of the 7 days the course runs. All conducting sessions are videoed with all students taking away DVDs of their conducting during the week. One to one lessons and review sessions using the student's DVDs are also an integral part of the course. The repertoire is extensive and deliberately varied in style and difficulty. In addition to major works of the wind orchestra repertoire, a number of less challenging works are included - particularly aimed at those working with young and amateur musicians. Students preparing to come on the course should prepare as much of the repertoire as they can, as thoroughly as possible. However, it is almost always better to know some of the music very well rather than all of it not so well. Those with less experience may well decide to focus on 3 or 4 works. More experienced participants, who are perhaps returning having already attended the course, might prepare two thirds of the repertoire. Serious conducting students, perhaps studying for Masters or Doctoral degrees would be expected to be familiar with everything on the list. As with all good master classes, the social aspect is important and Sherborne scores highly on this front as well. 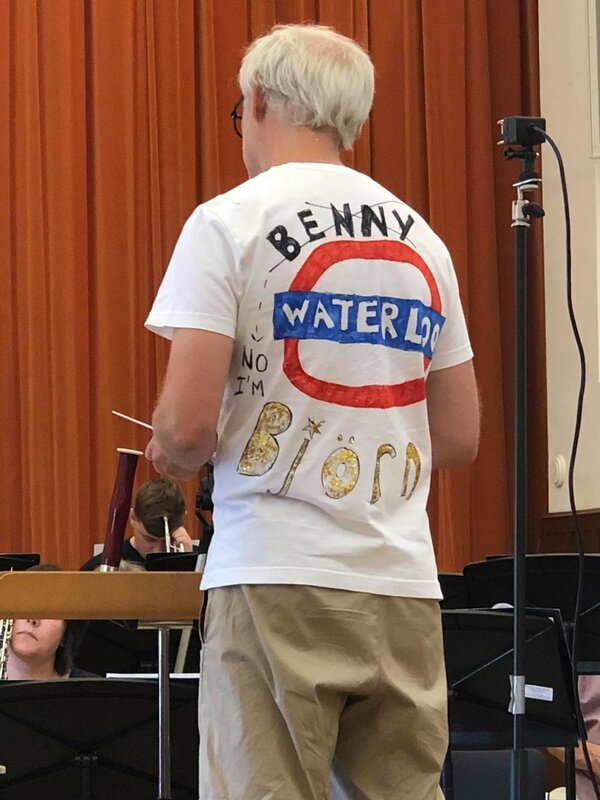 With over 300 musicians present for each week of the summer school, the conducting and wind orchestra courses manage both to retain their own identity and become part of the larger atmosphere.